ROHIT BHARGAVA is a marketing expert focused on helping to bring more humanity back to business. He advises some of the world's largest global brands on communications strategy through his role as a member of the Strategy & Planning group at Ogilvy.? ?His thinking has been featured in the Wall Street Journal, the Guardian, Fast Company, NPR, and MarketingChina, and his first book, Personality Not Included, was translated into nine languages. 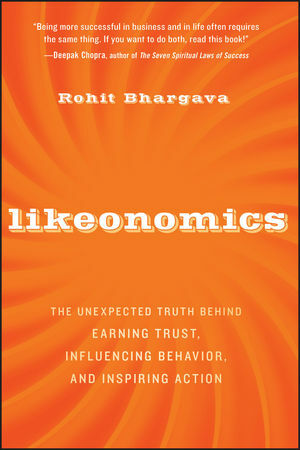 Outside of his writing and consulting, Rohit is Adjunct Professor of Marketing at Georgetown University in Washington, DC, where he lives with his wife and two sons.